Remember my previous blog post about the Majolica Majorca event? Here's what I wore. I called this outfit "Breakfast at Tiffany" because of the Tiffany blue jeans I bought from BKK. I paired it with this collared top I bought from BV while shopping with BFF, earrings and bracelets from www.le-vonne.com. I thought that the outfit looked dressy and yet, was extremely comfy. The silly BFF also queued up for Laduree macaroons for me! Pampered maximus! Thank you BFF! Check out my other Outfit of the day posts here! If you would like to sponsor some of my outfits, contact me here. Posted in Accessories, Beauty, Fashion, Outfit of the day. Tags: fashion blog, Laduree macaroons, Levonne accessories, Look of the day, lookbook, nadnut, Outfit of the day, outfit post, outfits, Singapore Fashion Blog, singapore lifestyle blog, Tiffany Blue jeans, Today's outfit, What I wore today?, WIWT on August 14, 2013 by nadnut. Remember the previous entry? I took some pics of my outfit and found it a complete waste if I didn't post it up. If you were wondering about the name of the outfit "Birds fly high", it's because of my birdy top! And also, the usual poem "Birds fly high, hard to catch. Friend like you, hard to forget!" Posted in Beauty, Fashion, Hair, Lookbook, Makeup, Outfit of the day, Yours truly.... 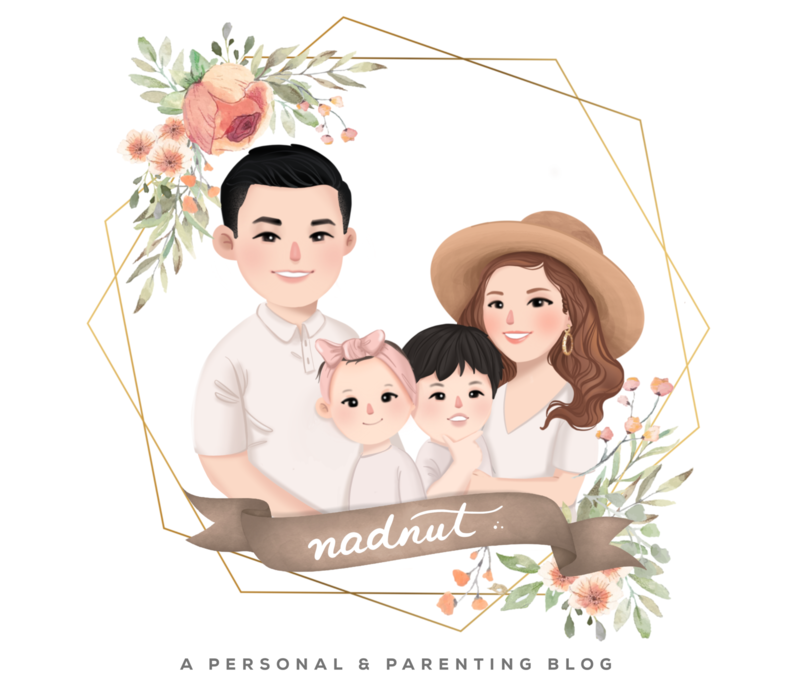 Tags: Birdy top, fashion blog, Look of the day, lookbook, nadnut, Outfit of the day, outfit post, outfits, Singapore Fashion Blog, singapore lifestyle blog, Today's outfit, What I wore today?, WIWT on February 24, 2013 by nadnut. My BFF got married last month and yours truly was her maria-of-honour. When she told me that her theme was vintage carnival, I researched and looked for dresses to wear at her ROM party. I wanted something vintage, retroish but not over the top. Nothing too revealing because, the bride should be the star! I went for a simple winged eyeliner look with neutrals from The Naked Palette by Urban Decay. Yes! I got my hair coloured red by Shunji Matsuo 313 by Eddie Yan! An entry will be up soon! I also went to Eddie to get my hair styled for BFF's ROM. I had my nails done at Milly's Bugis outlet by Tina. We chose a classic Minnie mouse design. It was supposed to be in red actually but I decided to tweak it and have pink instead. Milly's is currently having a S$20 Gelish offer. Do take advantage of this promo now! I paired the scarf dress (doesn't it look like a scarf?) with my Carlo Rino bag, a blue belt from Bangkok, my mint green heels from Rubi and a lovely bracelet from Le-Vonne. Unfortunately the dress I wore is already sold out, but you can check out the other baroque designs here! Last but not least, congratulations to my beautiful BFF! Posted in Beauty, Fashion, Friends, Hair, Makeup, Outfit of the day. Tags: affordable accessories, baroque dress, Baroque dresses, BFF daintyflair, Carlo Rino bag, daintyflair's rom, Eddie Yan, fashion blog, lookbook, milly's, millys nails, minnie mouse nails, nail art, Outfit of the day, outfit post, outfits, retro dress, Retro nails, Scarf dress, shunji matsuo, Shunji Matsuo 313 Eddie Yan, Shunji Matsuo @ 313, Shunji Matsuo Eddie Yan, Singapore Fashion Blog, singapore lifestyle blog, singapore lifestyle blogger, Today's outfit, Vintage outfits, What I wore today?, what to wear to a vintage party?, www.flaunt.cc, www.le-vonne.com on January 11, 2013 by nadnut. I had a fruitful day last Saturday. Visited Erabelle to get my eyebrows trimmed... (more on that later). Visited Changi Airport for a guided tour and shopping trip with Sparklette and Dblchin. I didn't know that the shops in Changi Airport absorbs the GST! The kind folks treated us with $200 of vouchers! Will share pics of my haul soon! Courtesy of Carrie, Fidelis and i and our other halves enjoyed a delish buffet dinner at Azur at Crowne Plaza hotel! Managed to satisfy my cheese craving! But most of all, i'll like to feature my outfit post! I paired a turquoise top with my favourite high waist jeans. Matched it with some lovely accessories from Jipaban. Pretty arm party for the day! And preppy oxford flats from Jipaban! Will also be blogging about the activities soon! Keep a lookout for it! Posted in Events, Fashion, Life and Fun, Outfit of the day. Tags: fashion blog, lookbook, Outfit of the day, outfit post, outfits, Singapore Fashion Blog, singapore lifestyle blog, Today's outfit, Turqoise, What I wore today? on August 27, 2012 by nadnut.